SBI Yono app has a special feature for online account opening using mobile. Using PAN no. and Adhaar number, anyone can open bank account sitting at home. But now this service is temporarily disabled. SBI has disabled due to the issue of adhaar OTP. When Yono app’s online account opening process to restart? As soon as, OTP issue will be resolved of adhaar, SBI yono app’s online account opening process will be started again. 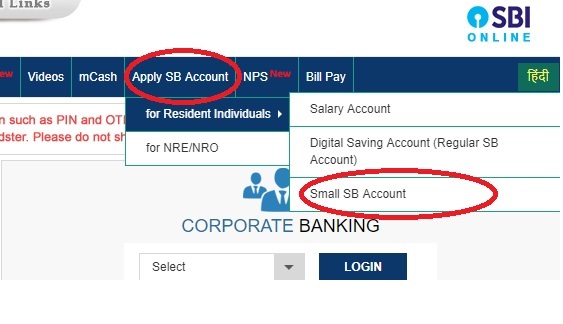 How can we opena bank account of SBI at home? As you know, Yono app’s function ofthe new account opening process is not avaiable right now. You can use SBI site https://www.onlinesbi.com/ for account opening process. Click on the “Online SB account option. Click on the “Start now” option. Click on Fill new Account Information Section. A refrence number will be displayed. Note downn that number. You will get sms also. Now Print Account Opening Form and sign the form and give to nearby branch for activation. Great! This is all process for online account opening process. हिंदी में पढ़ें: SBI का खाता ऑनलाइन कैसे खोलें?